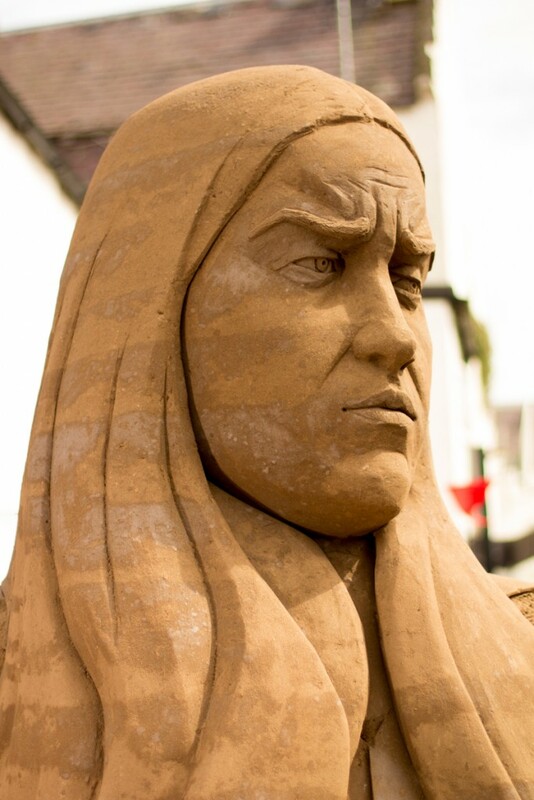 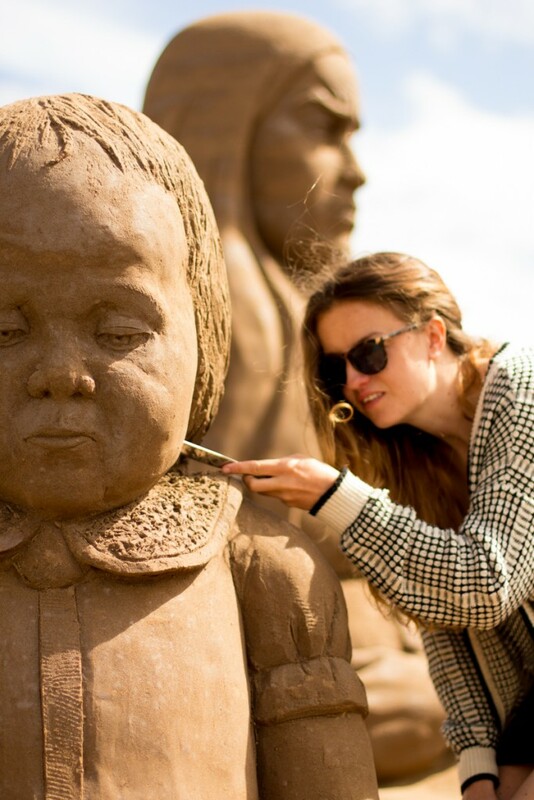 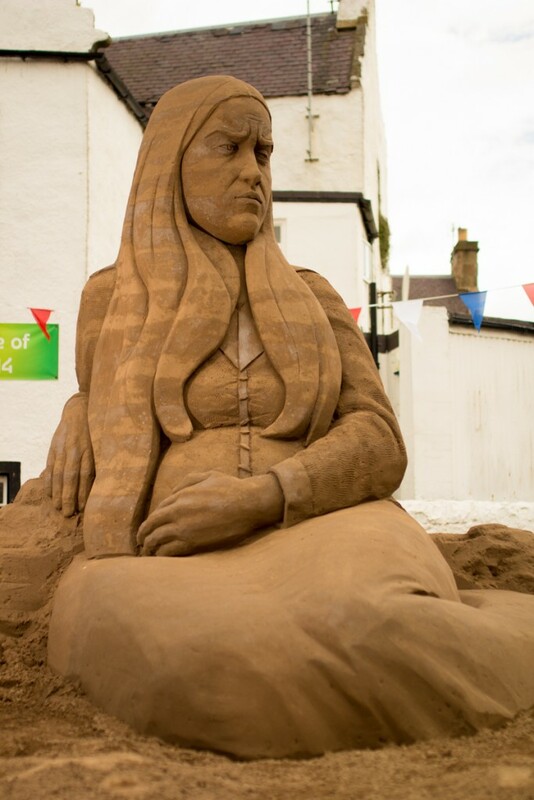 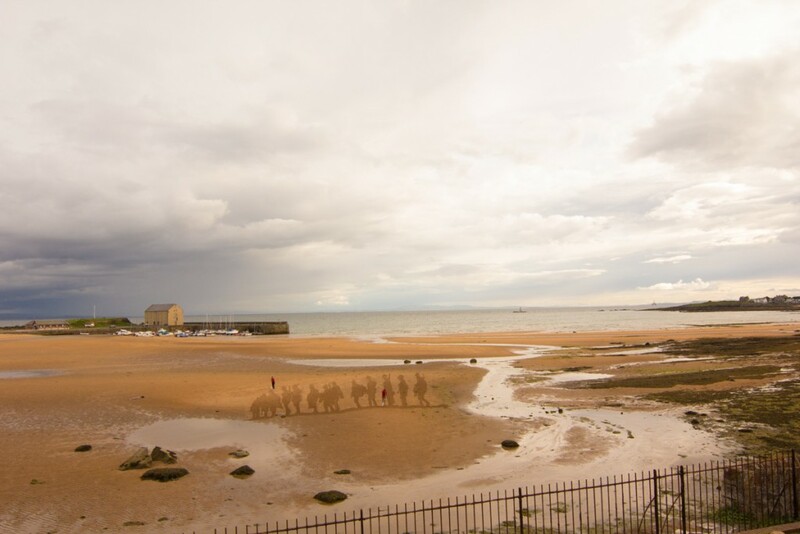 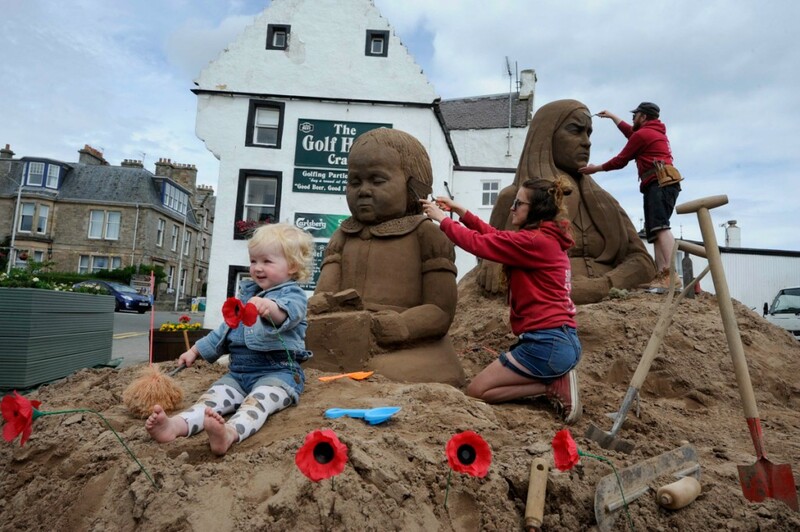 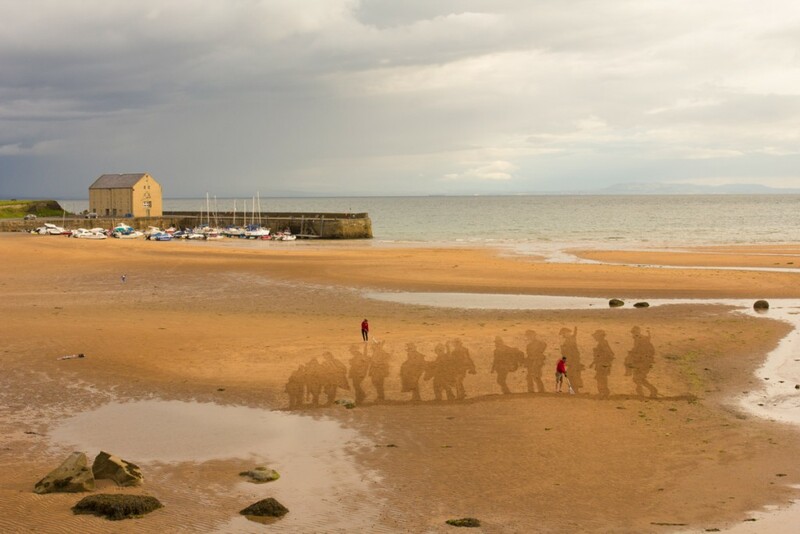 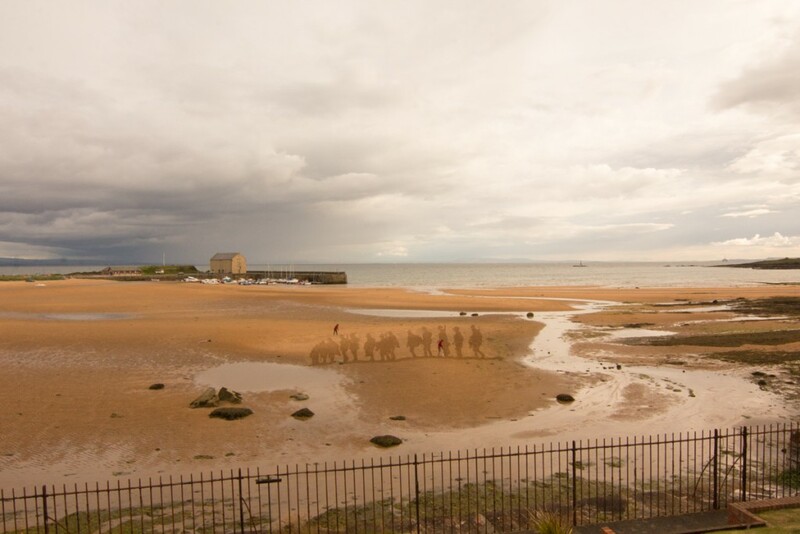 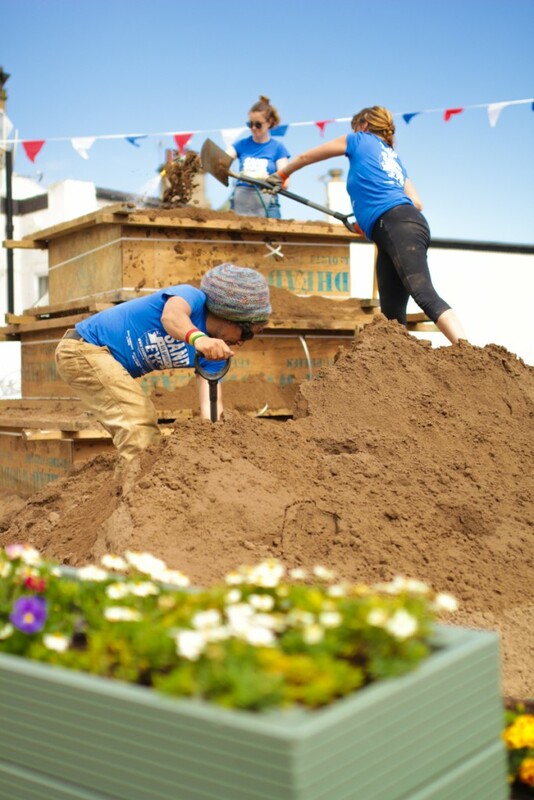 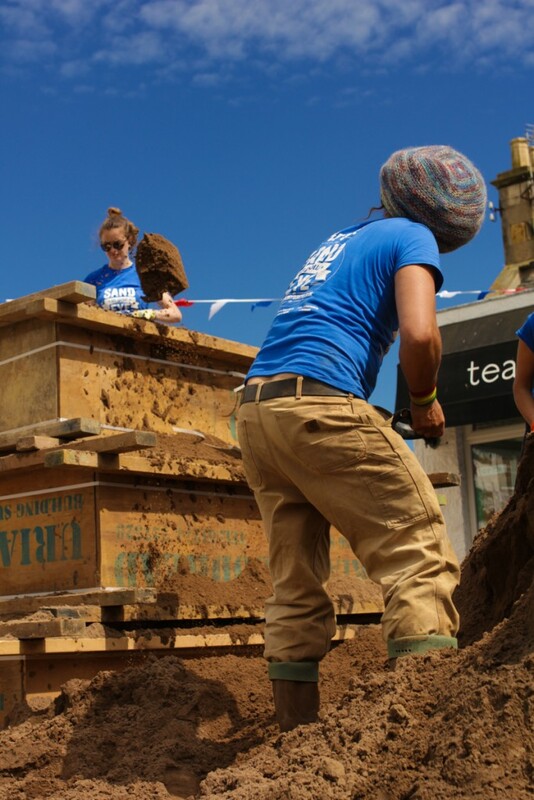 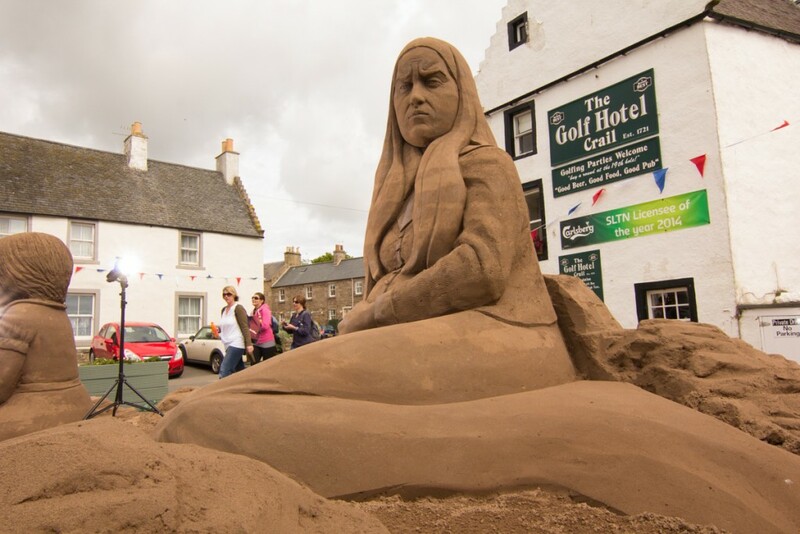 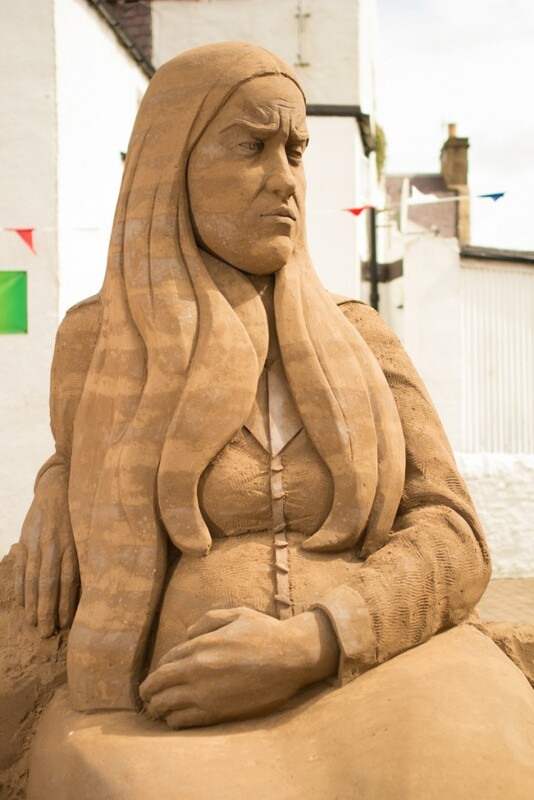 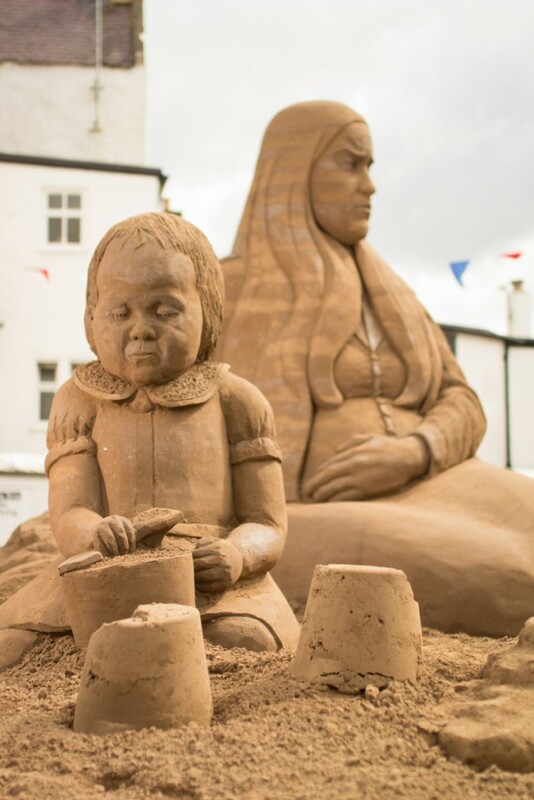 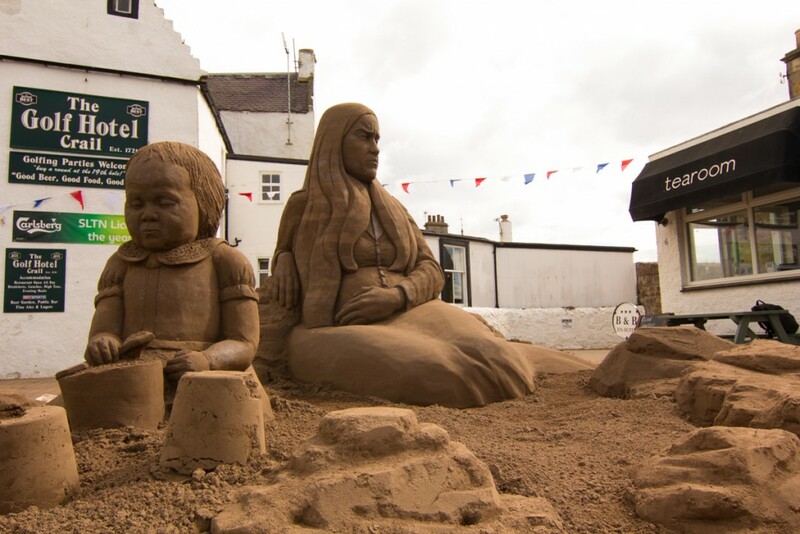 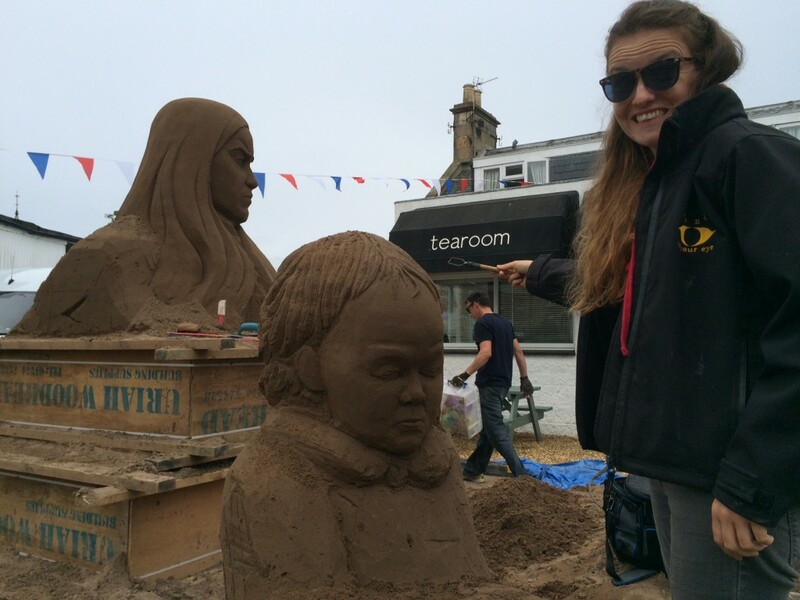 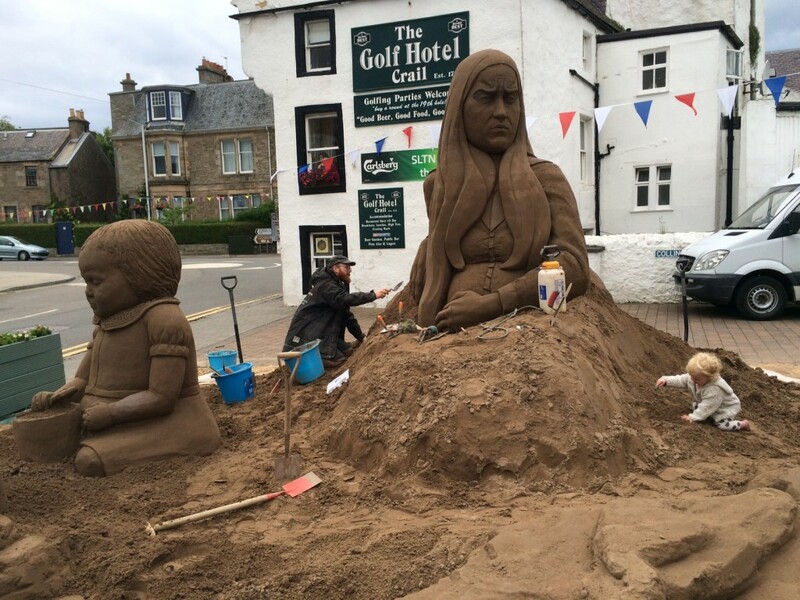 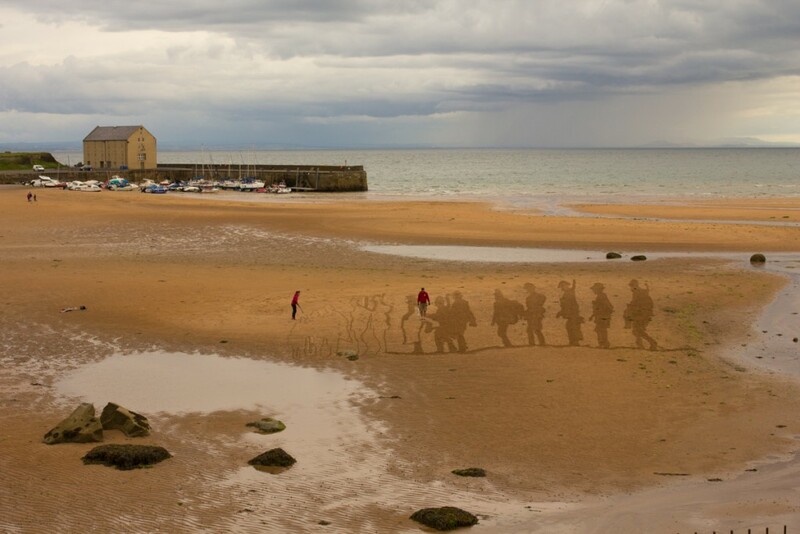 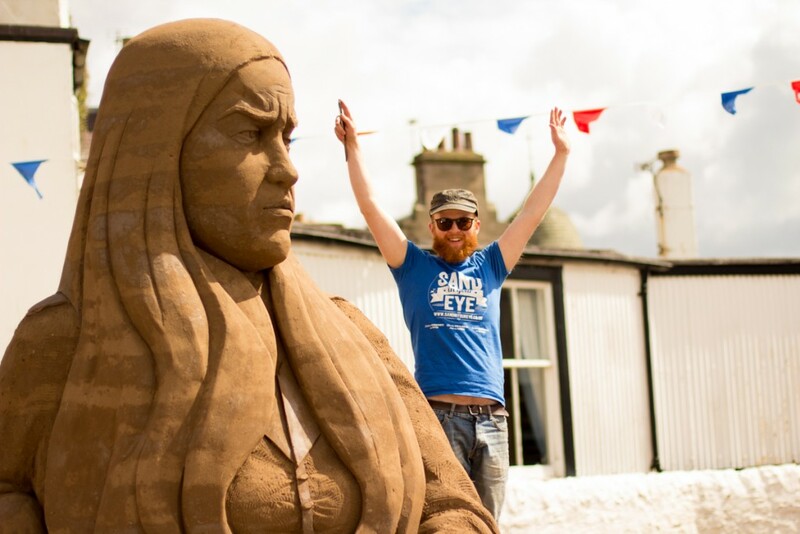 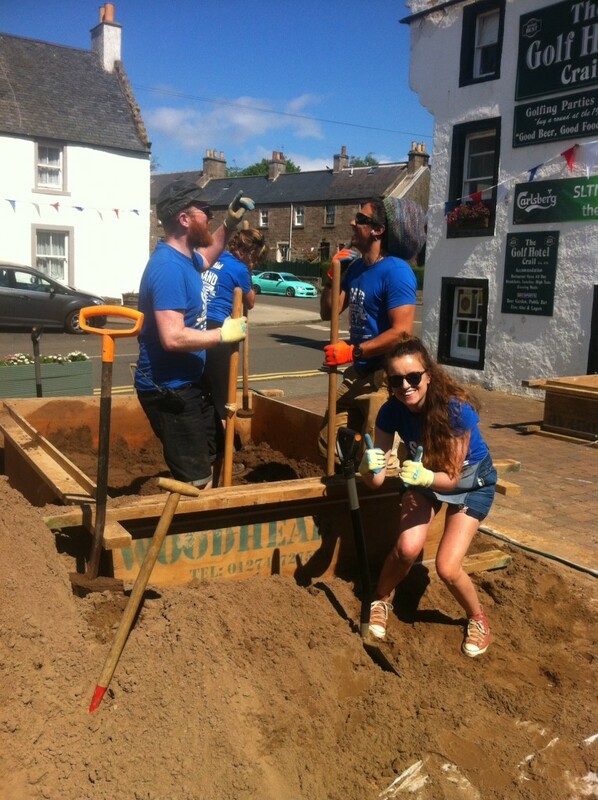 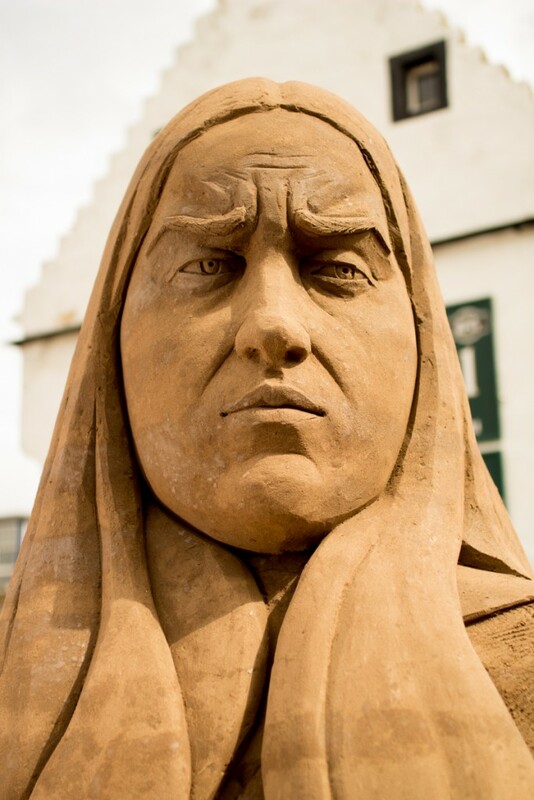 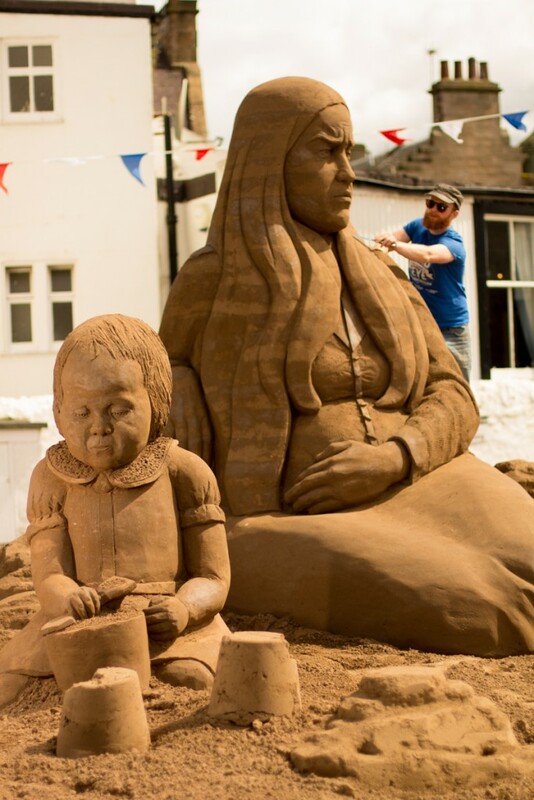 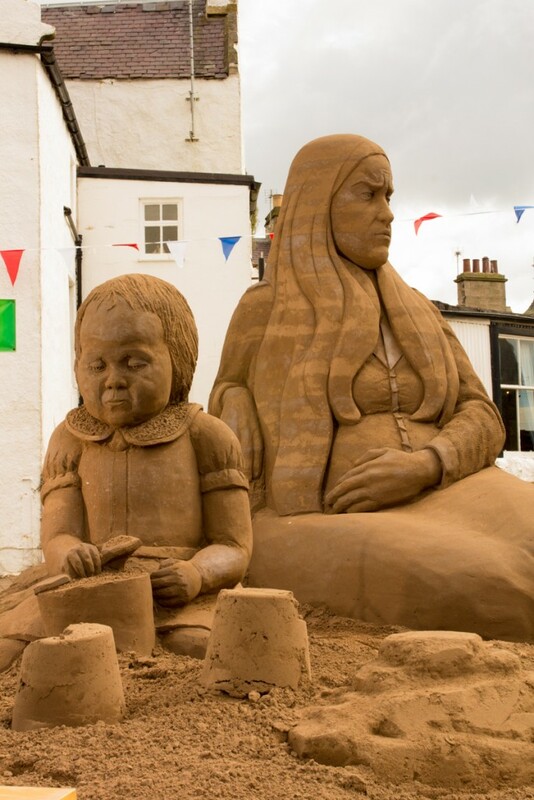 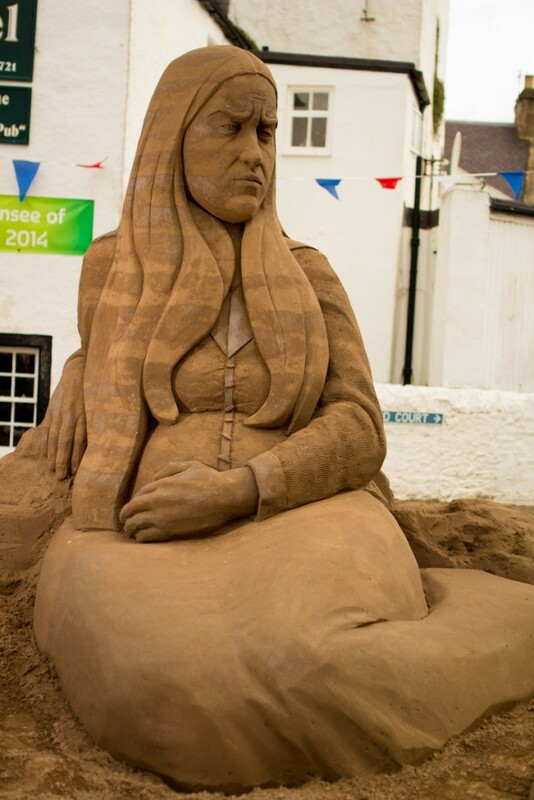 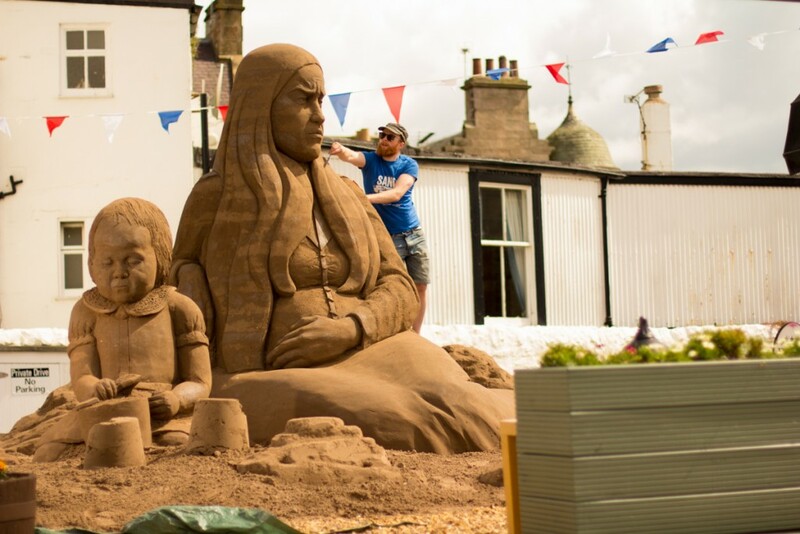 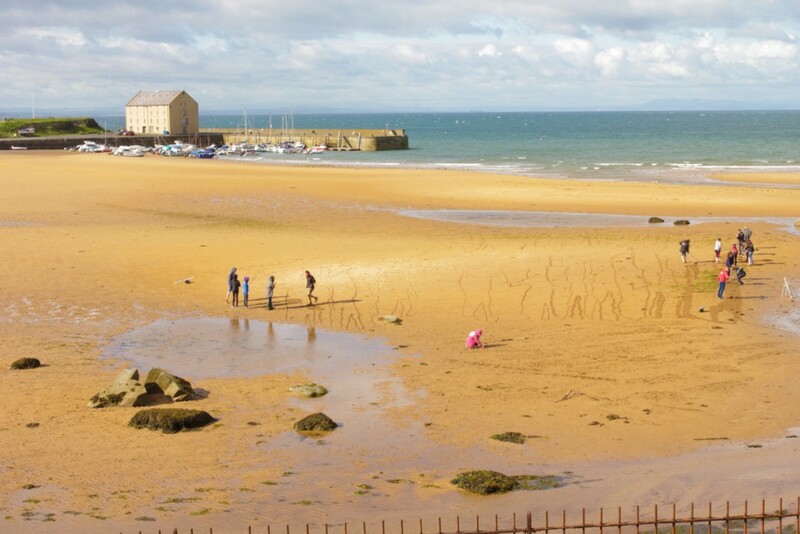 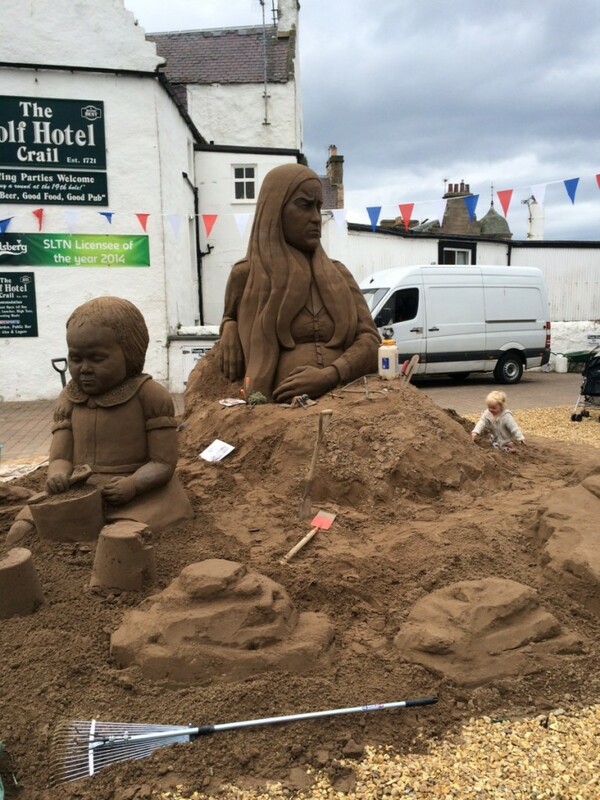 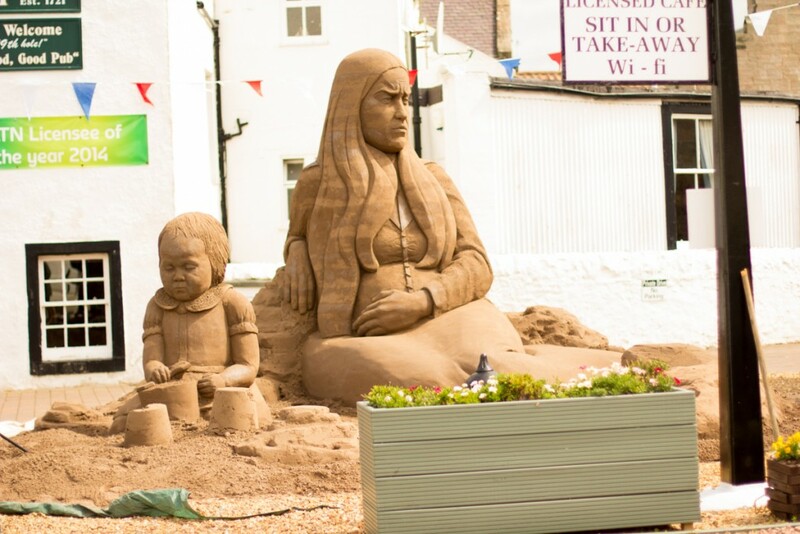 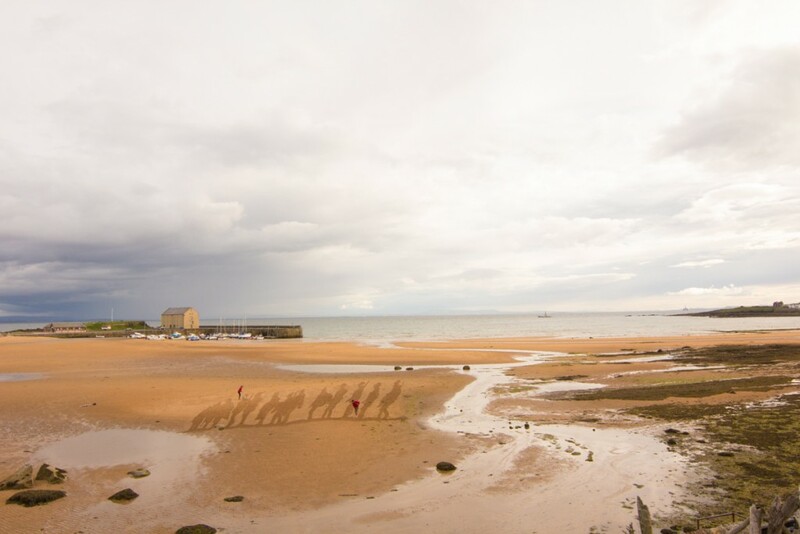 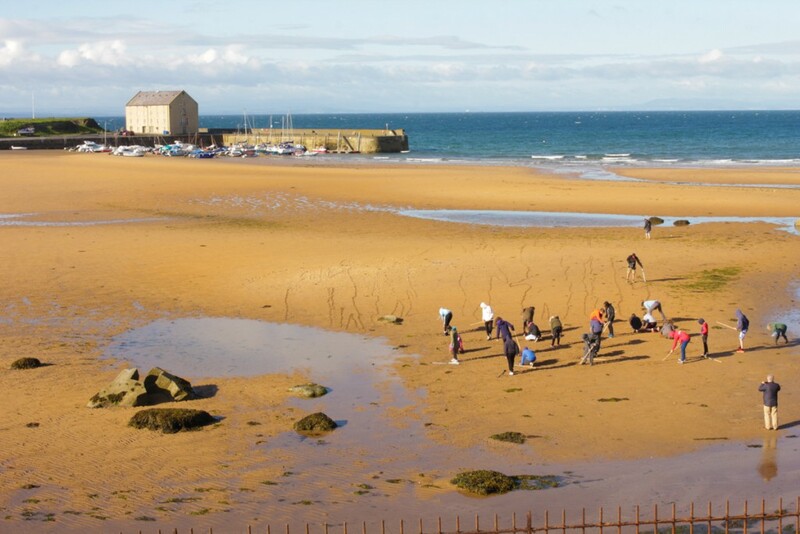 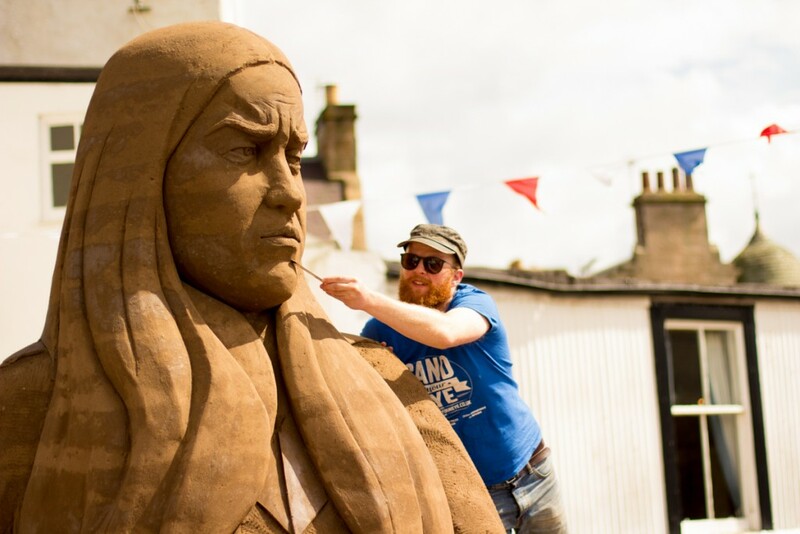 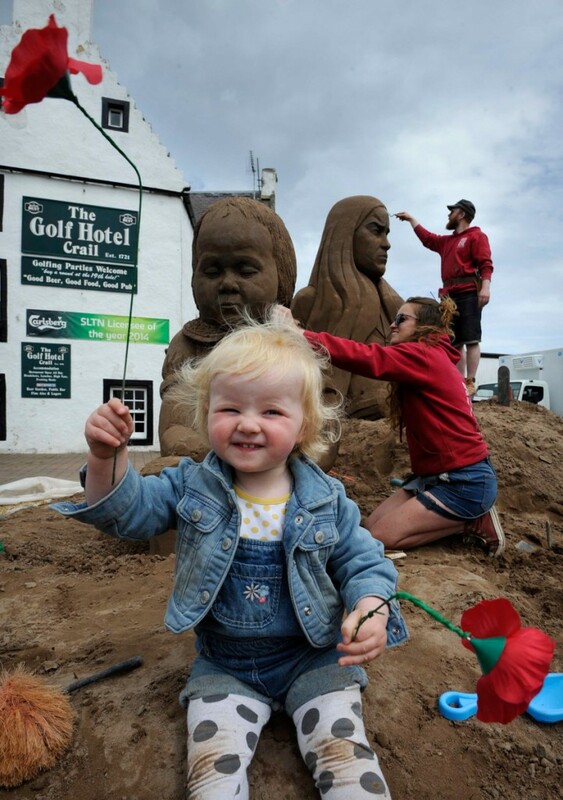 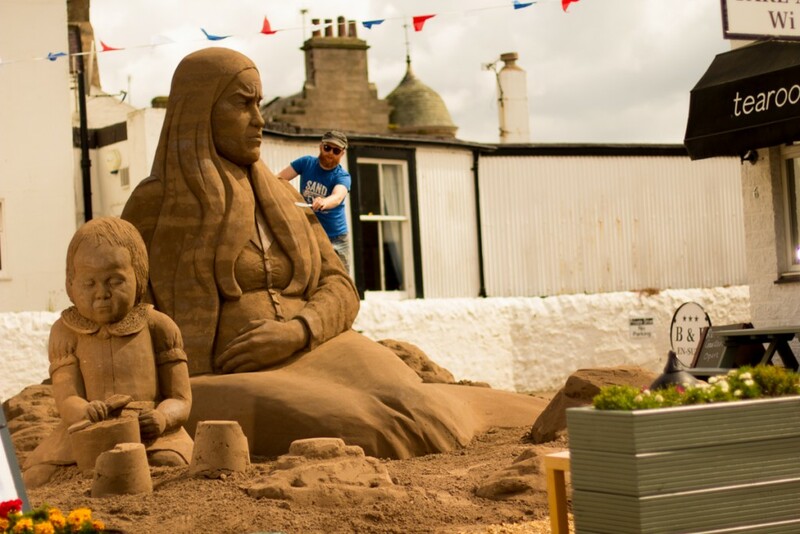 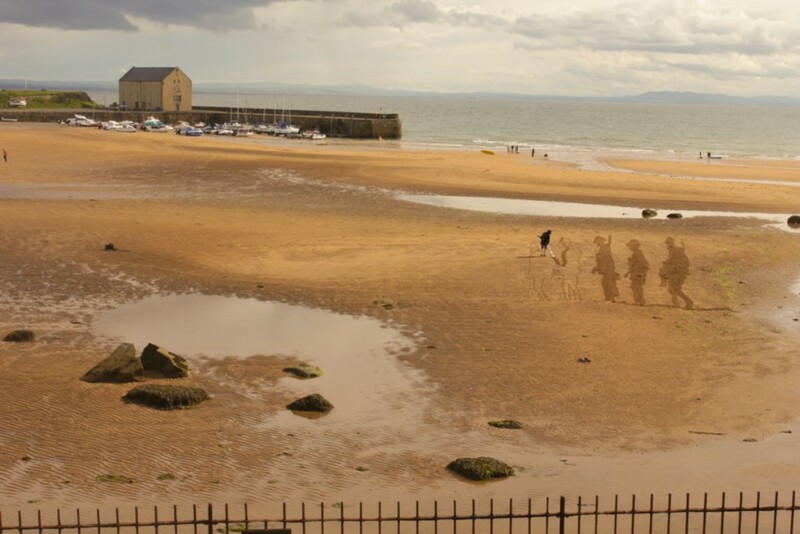 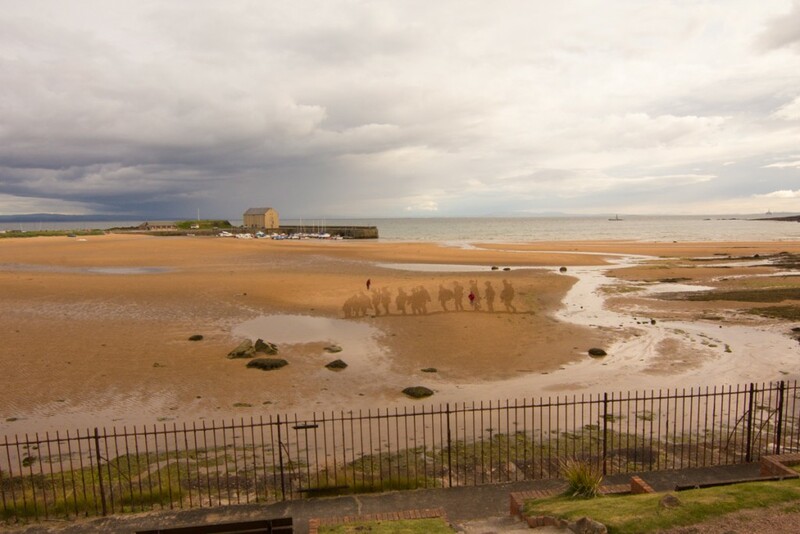 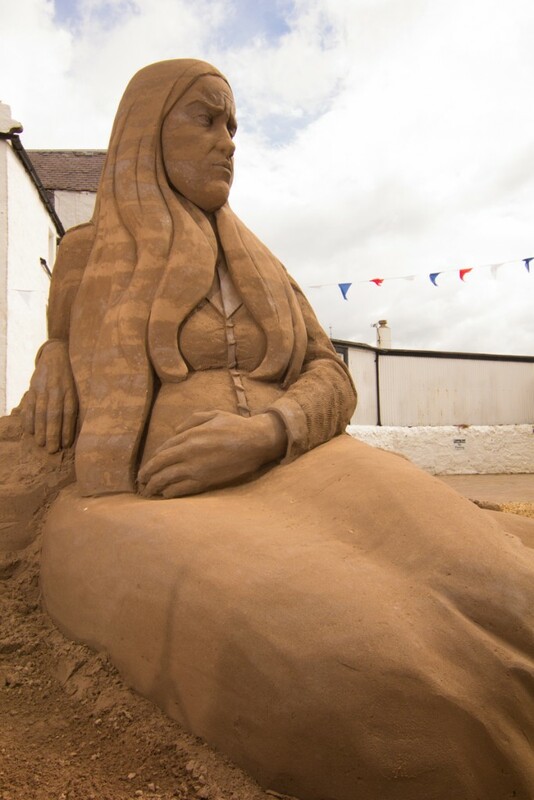 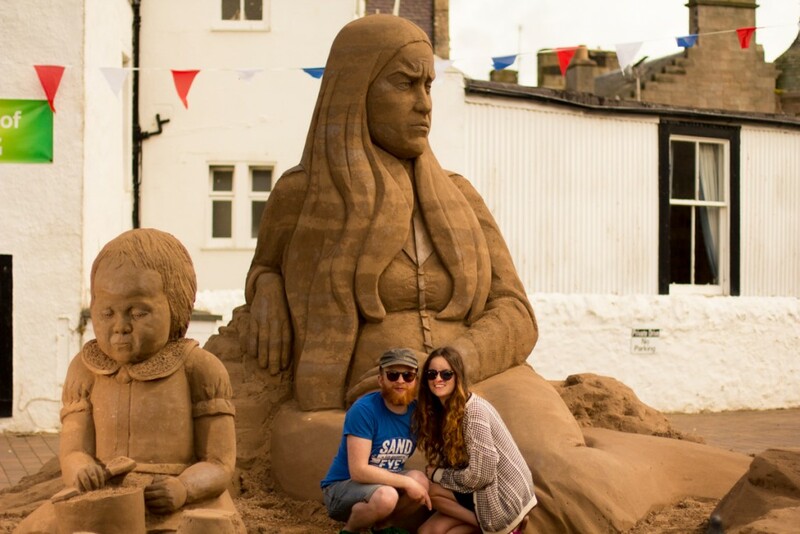 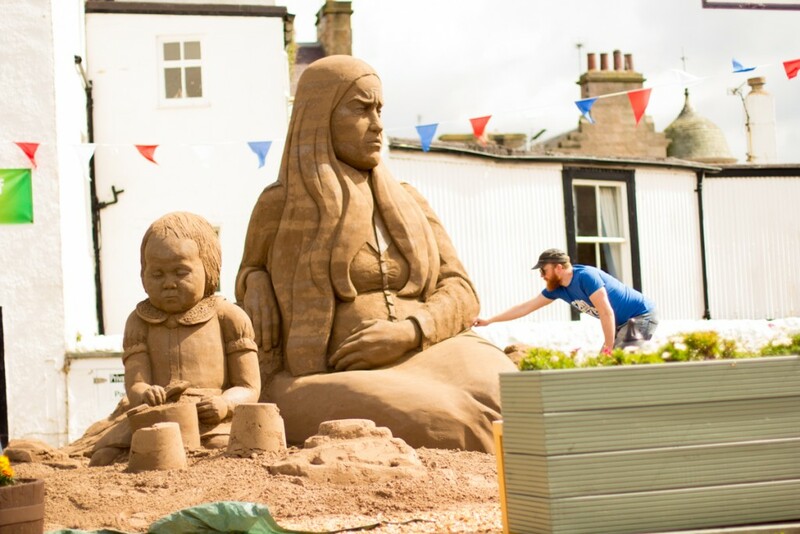 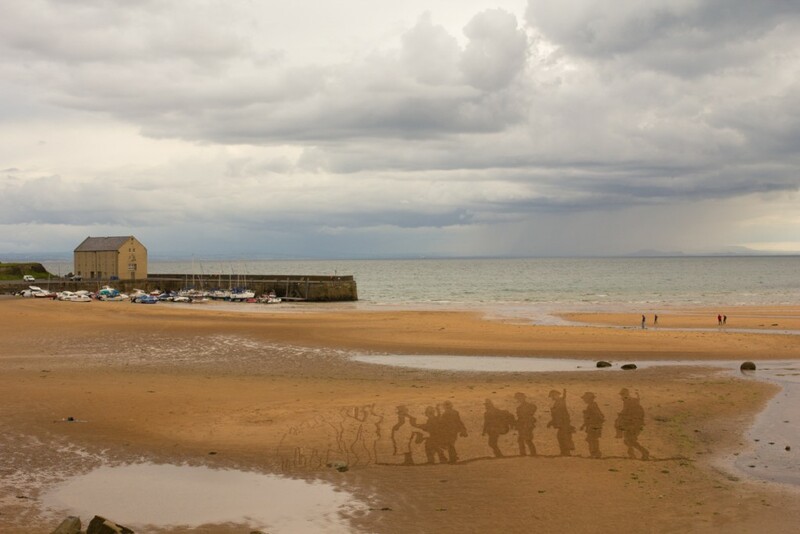 This year was Sand In Your Eye’s 7th year at the East Neuk Festival making sand sculptures and sand drawings. 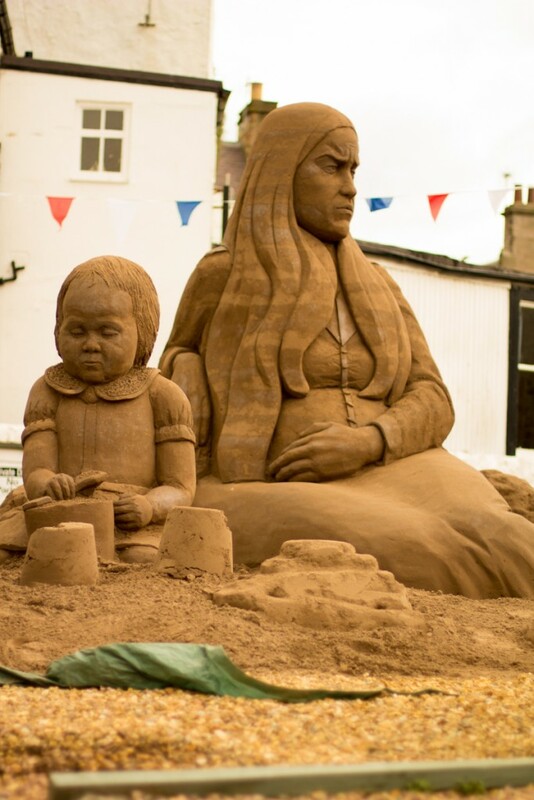 It has begun to feel like visiting family. 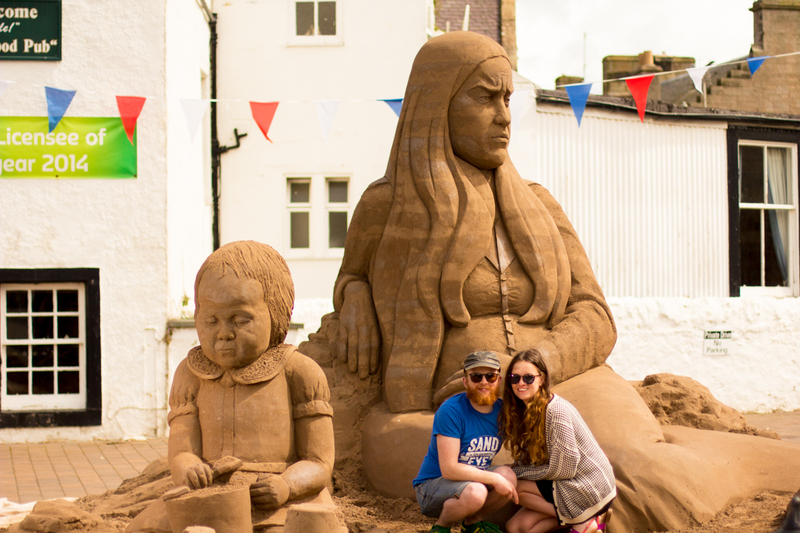 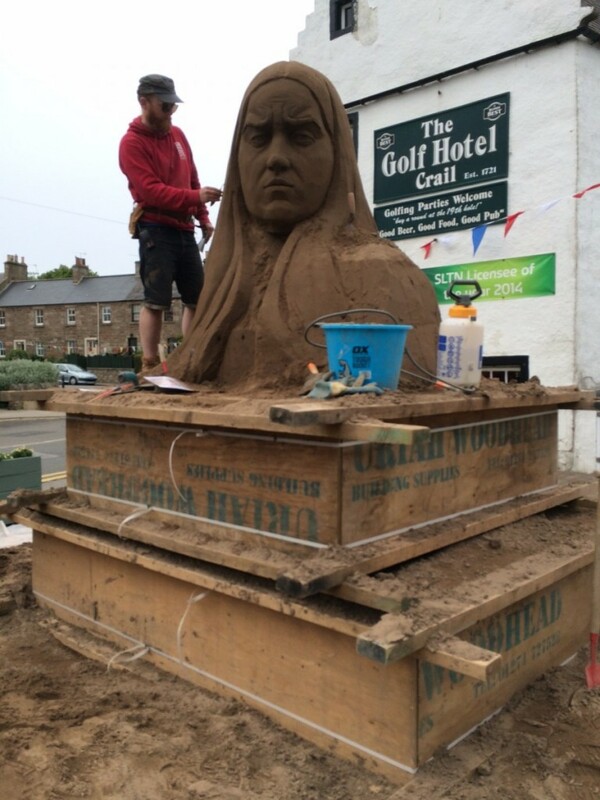 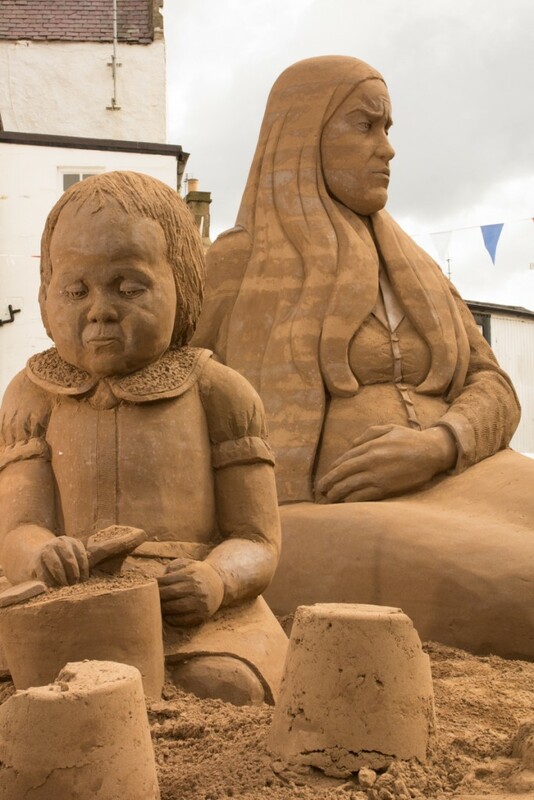 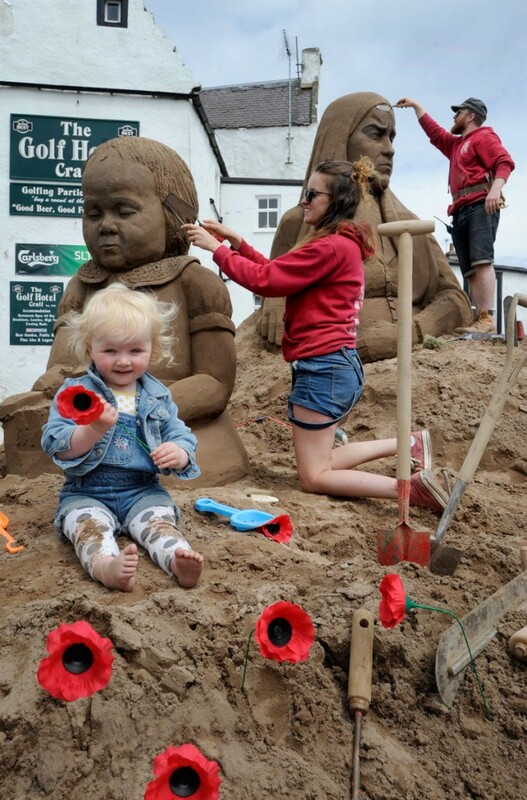 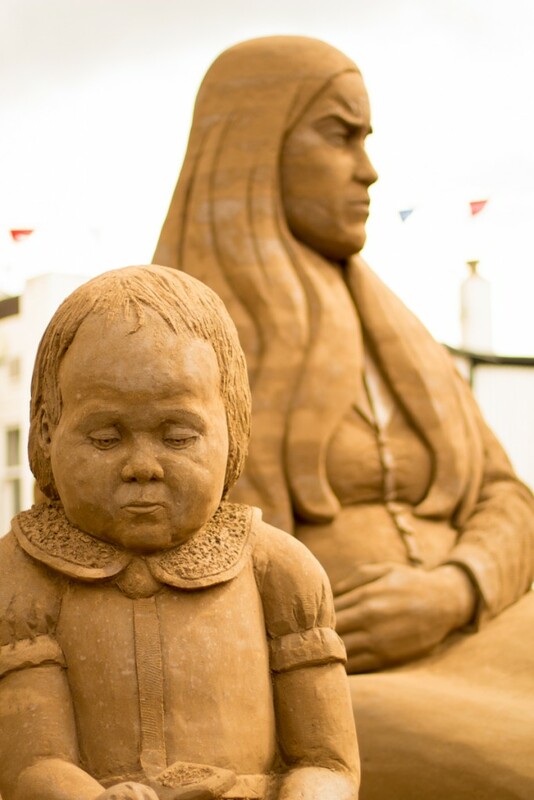 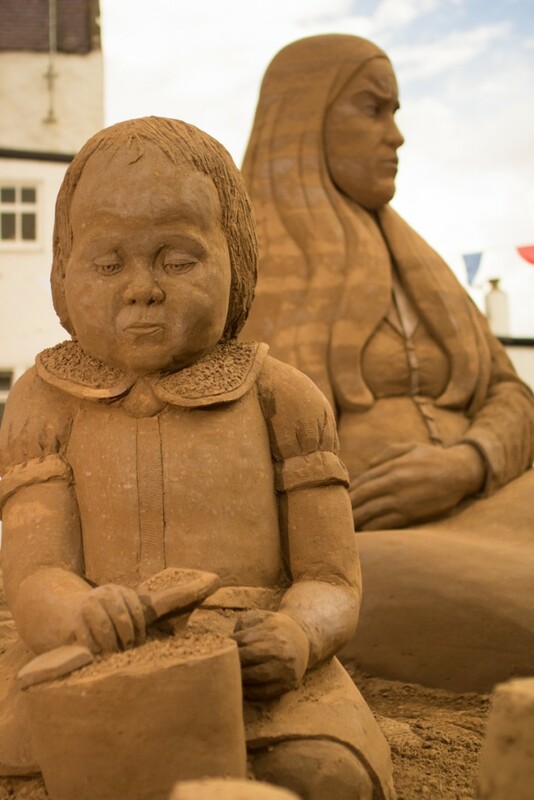 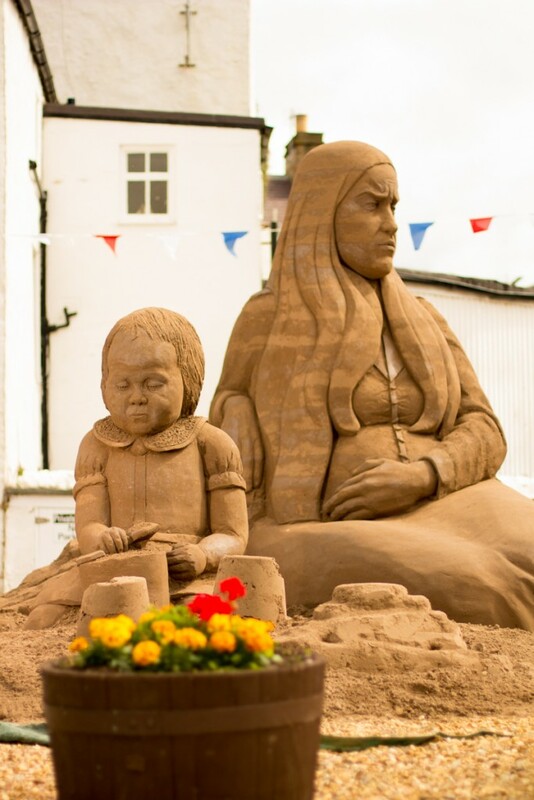 Everyone makes us feel so welcome every year and we chat to locals and visitors about sand sculptures from previous years. 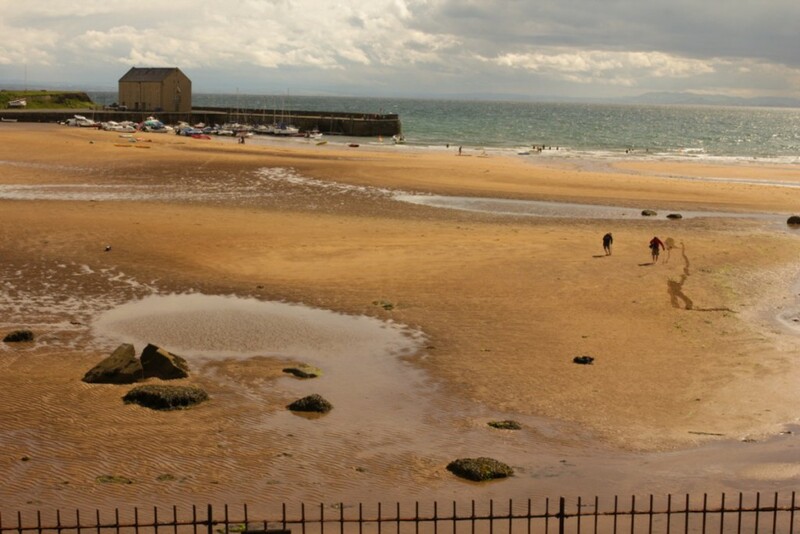 Our little family has grown up visiting this lovely part of Scotland. 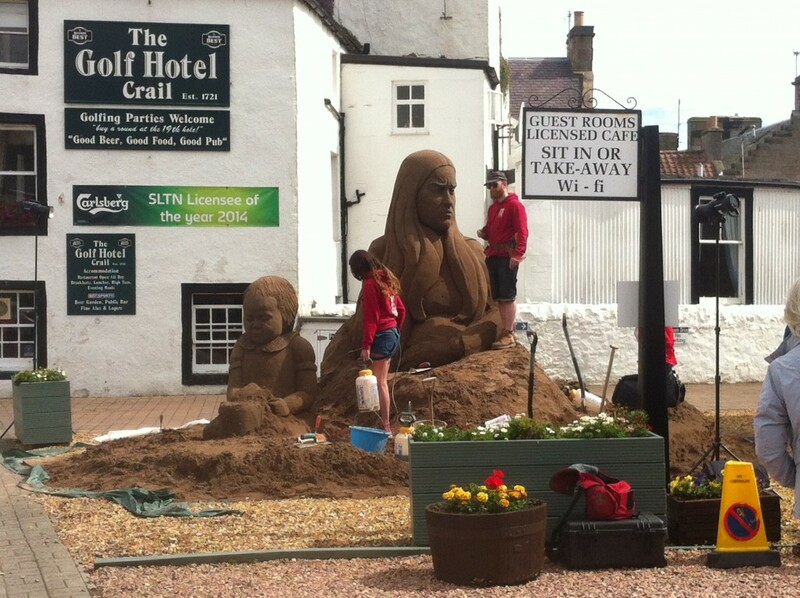 Once again Graham and Edna made us very welcome to the Honeypot Guest House and Café with Edna’s famous carrot cake! 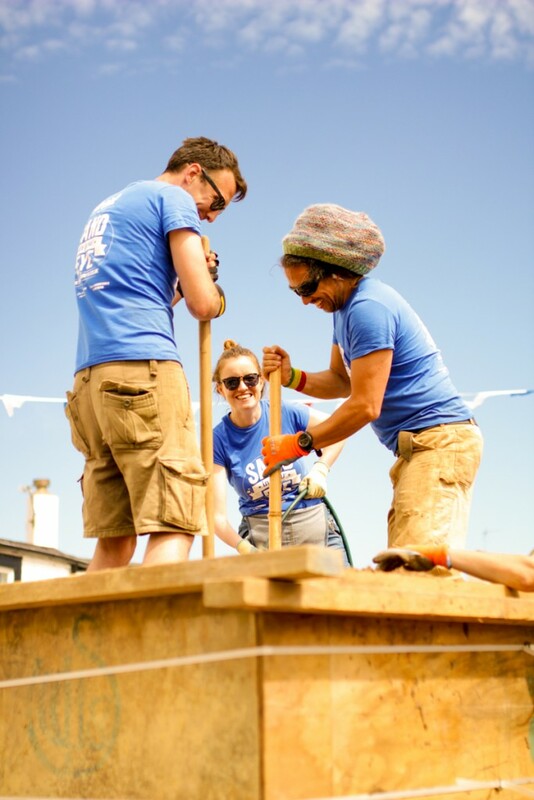 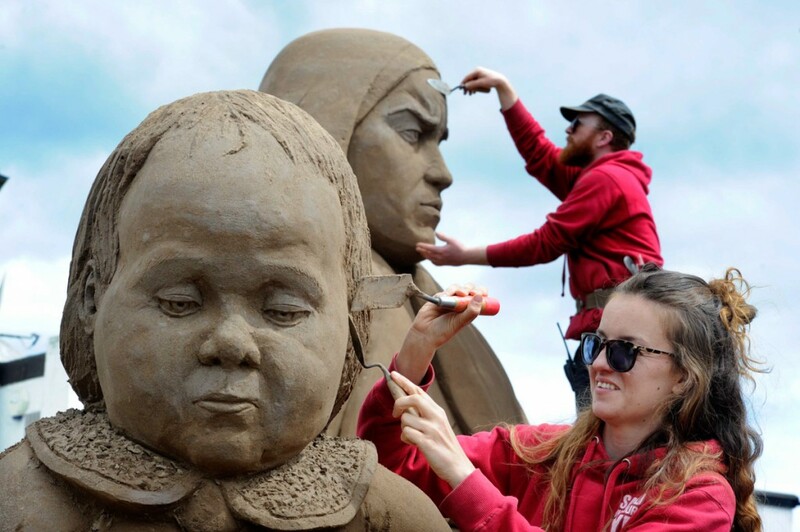 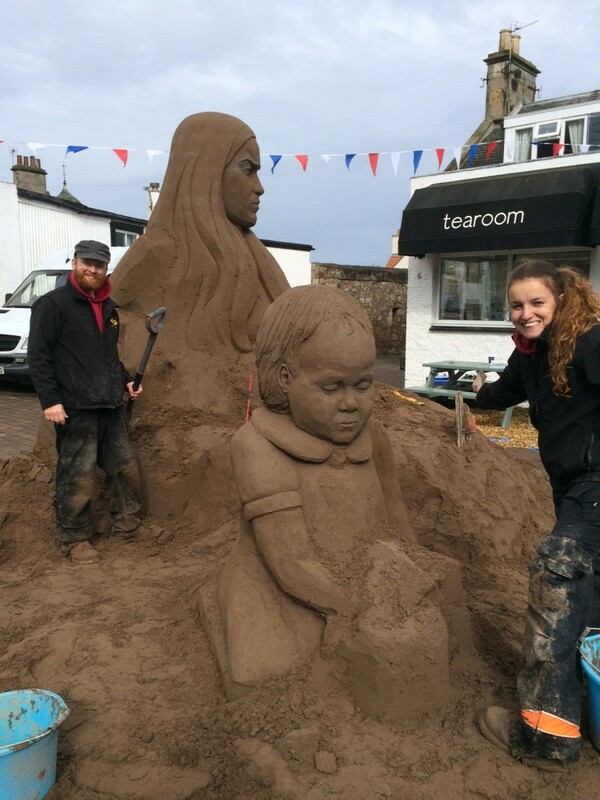 The East Neuk Festival team have now become experts in discussing sand sculptures, they can detail all about the sand and what happens when it rains. 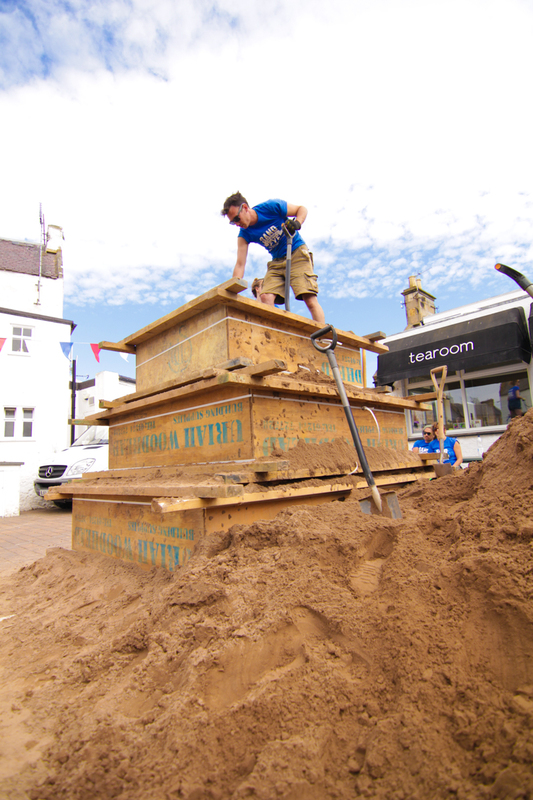 During the sand sculpture Tom Bolland was hard at work preparing for the Sand Drawing. 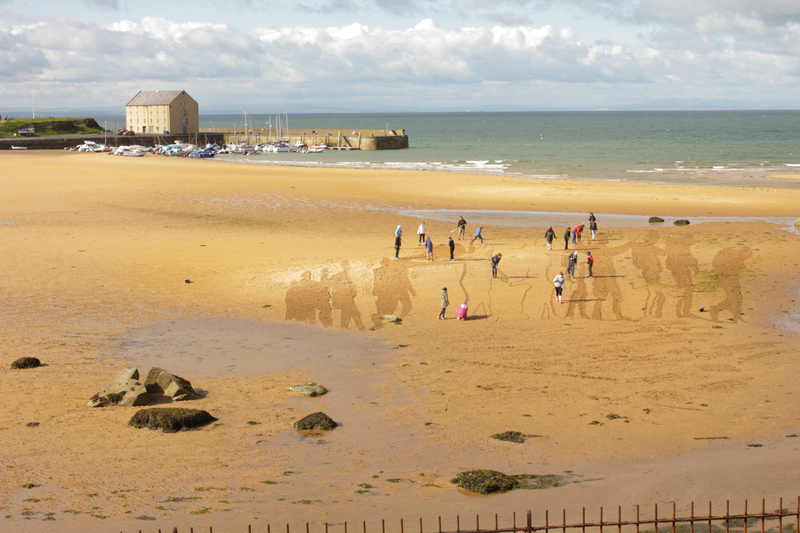 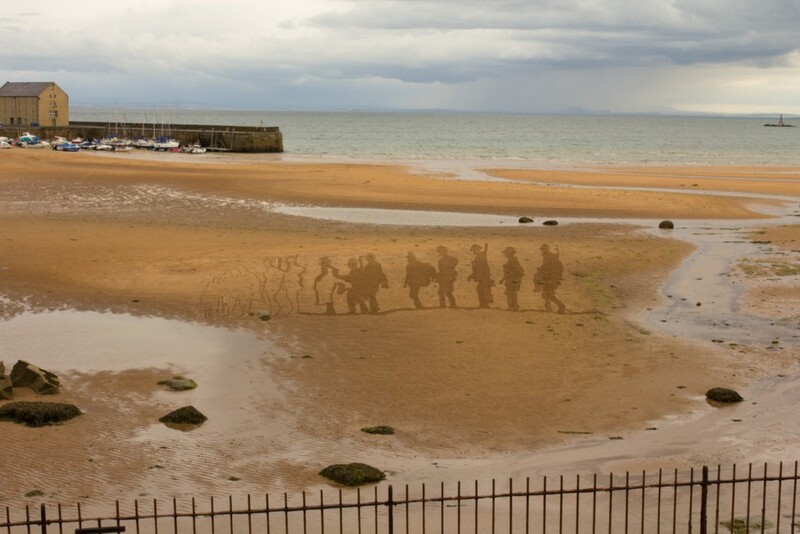 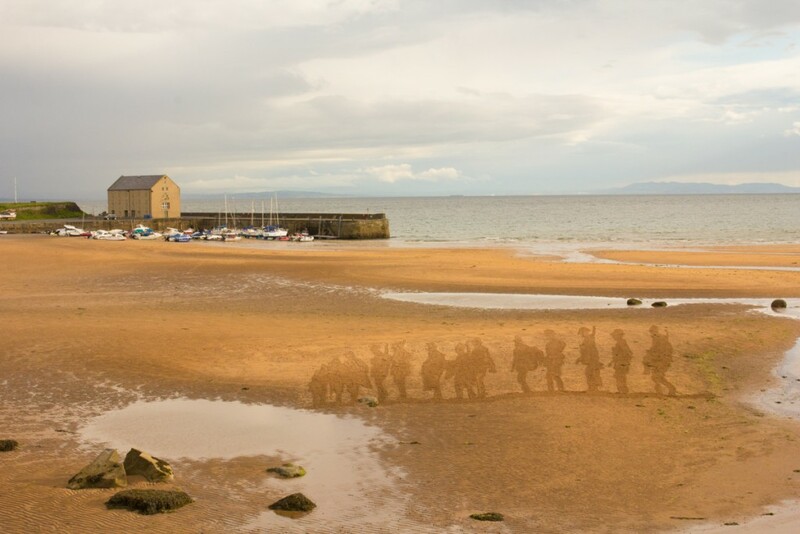 We would be teaming up with some students from Waid Academy to create one of the two sand drawings. 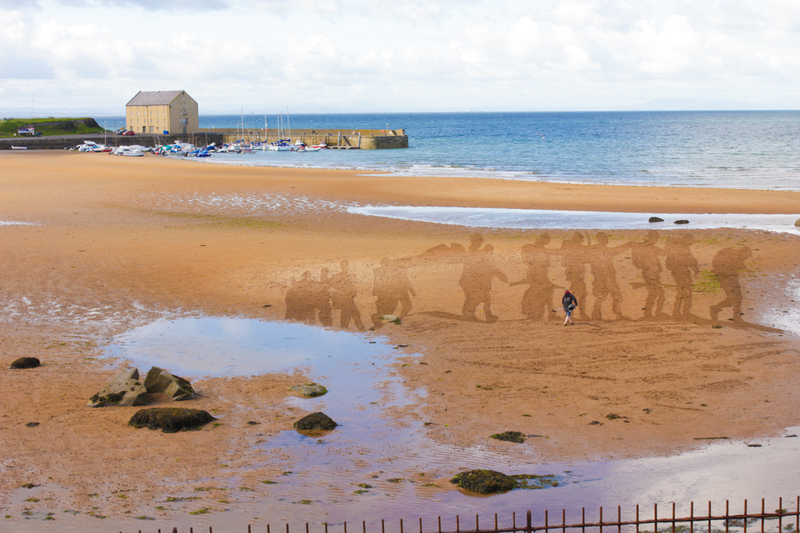 Tom visited the school to chat to the students about the day and what it meant to them. 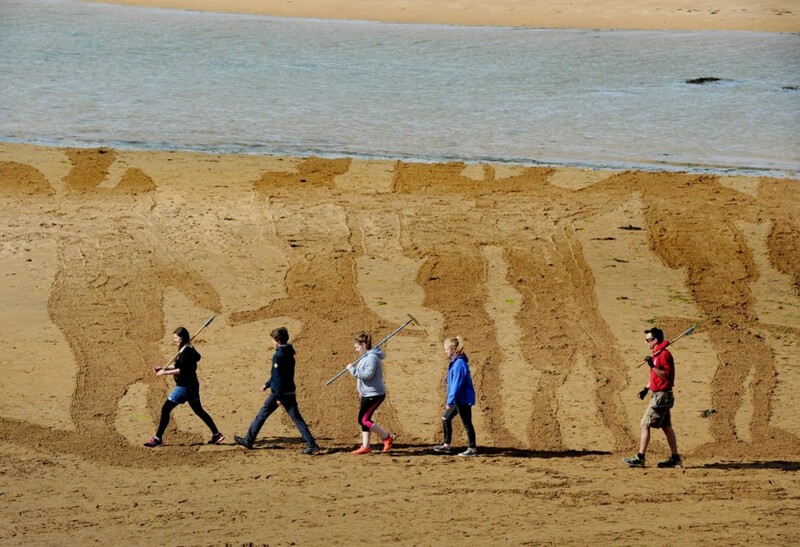 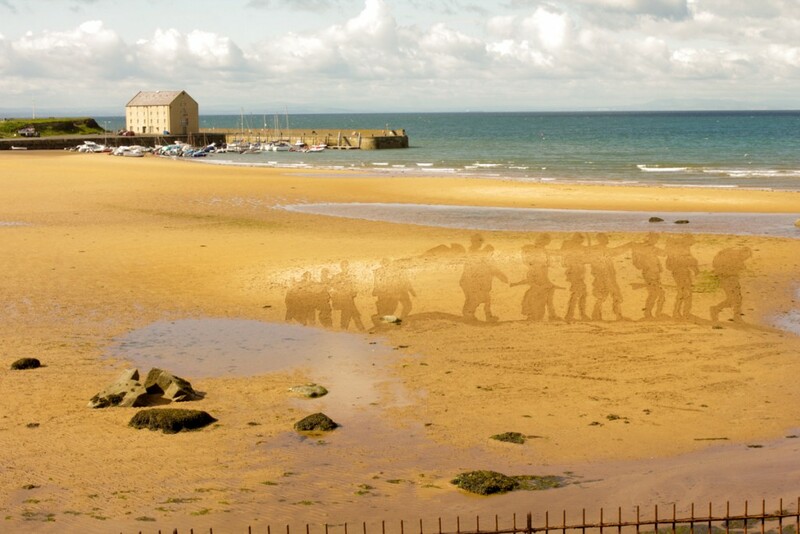 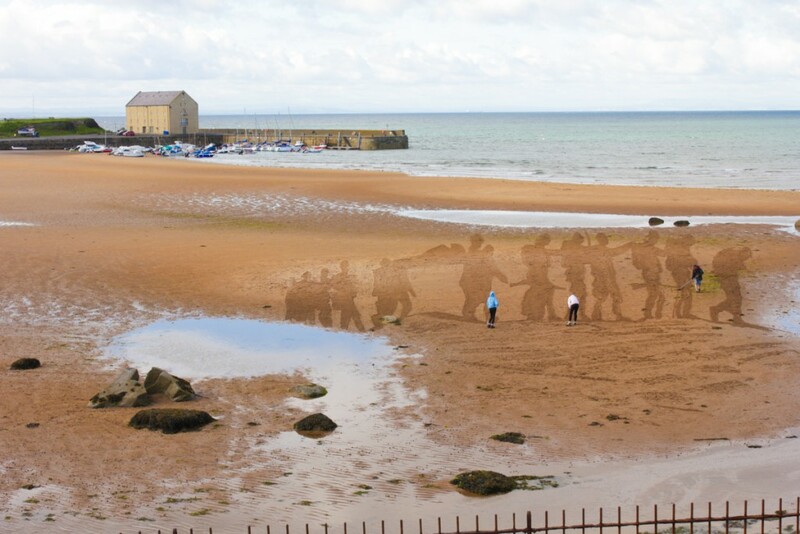 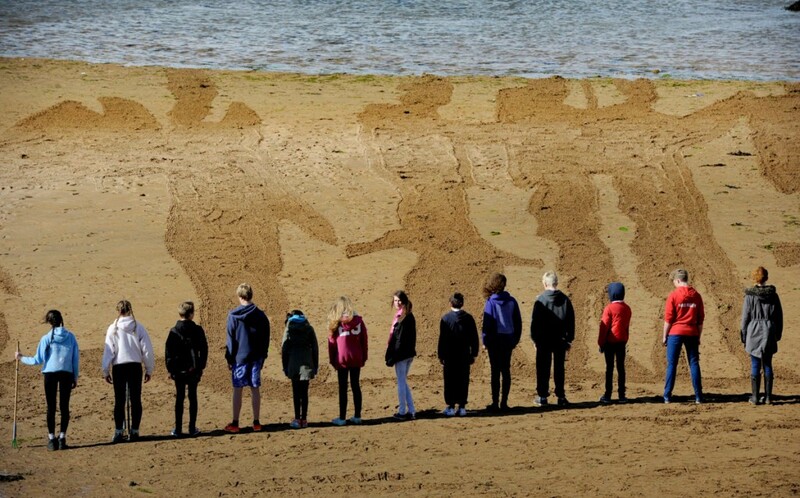 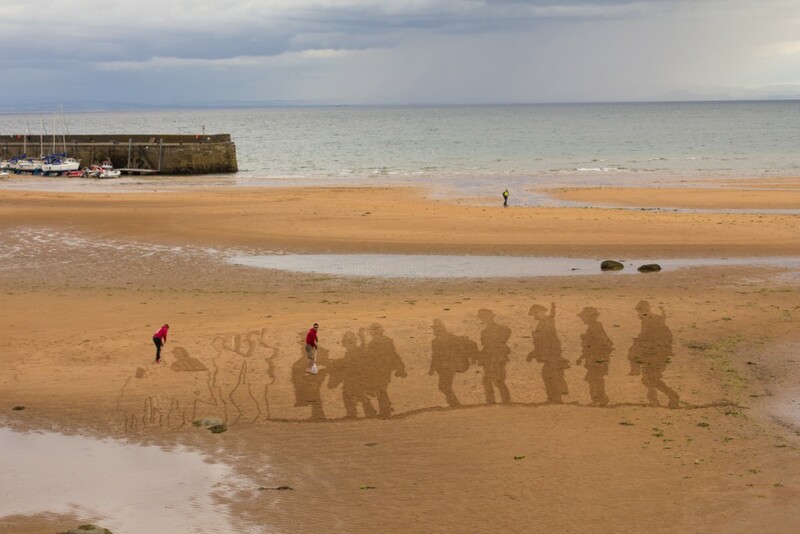 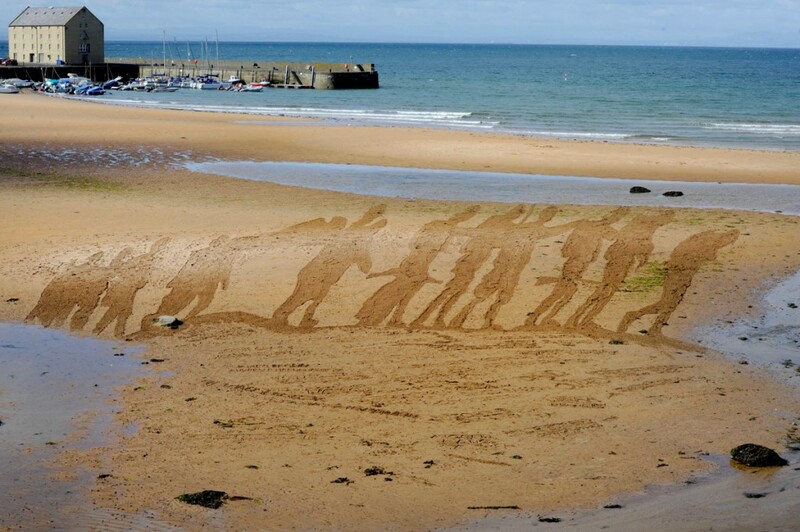 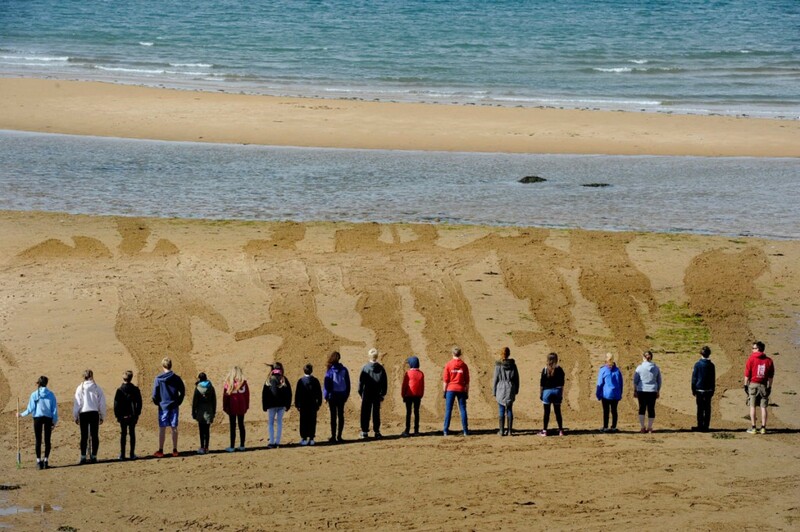 They would be raking in the sand the names of 42 people from their school who died during the Battle of the Somme. 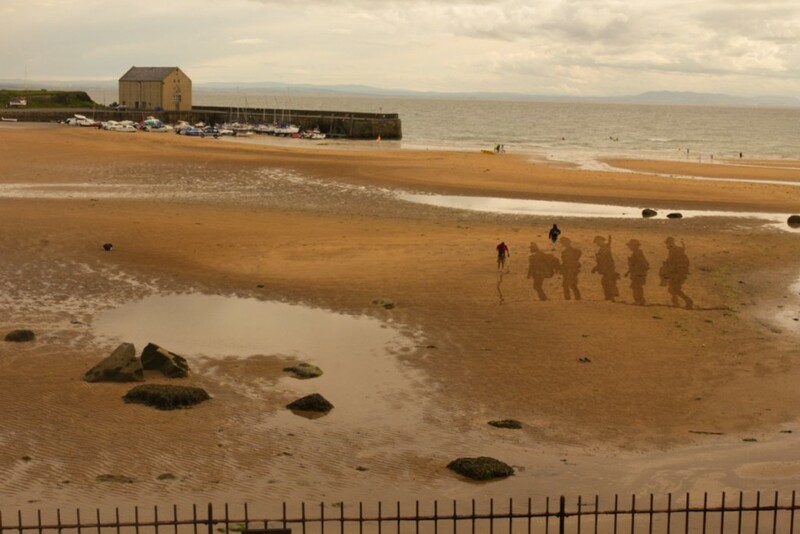 Tom then met them on the beach a few days later for a practice day. 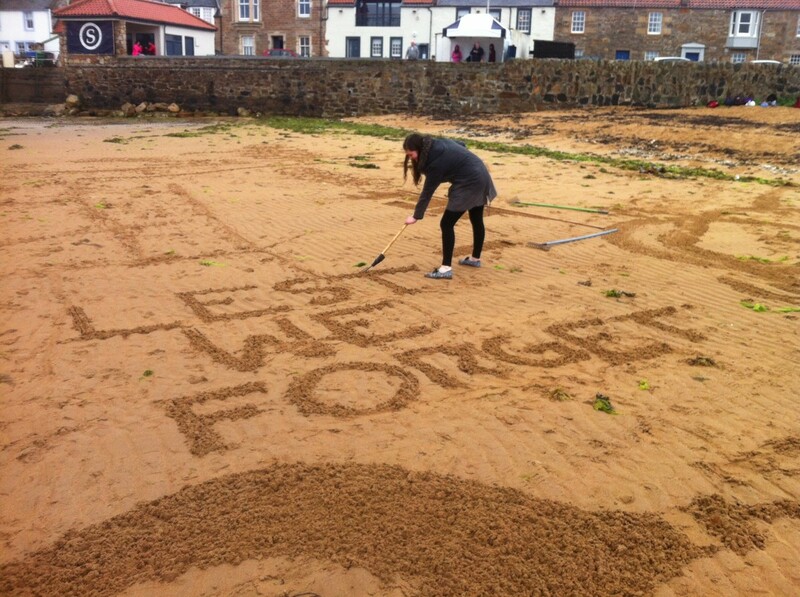 On the day of the sand drawing we arrived on Elie beach at 5am bright eyed and bushy tailed!!! 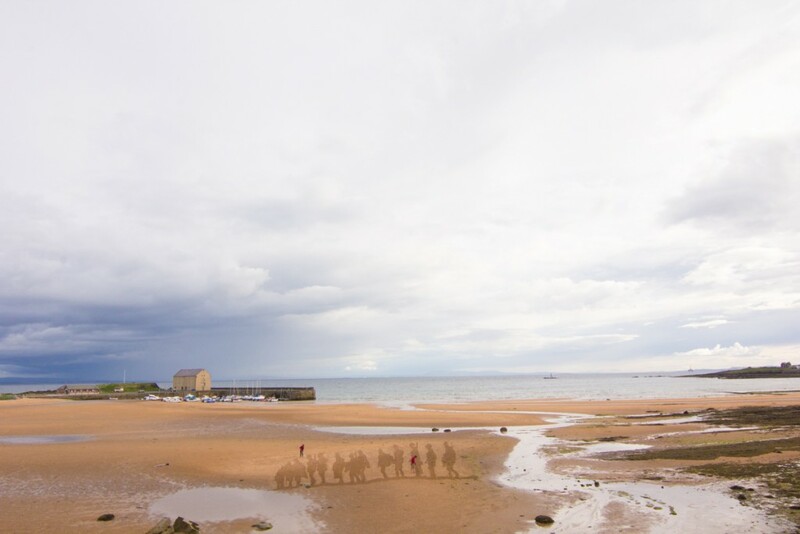 We set up and began the first drawing, we had a few hours break in between and then we were back for the second of the drawings. 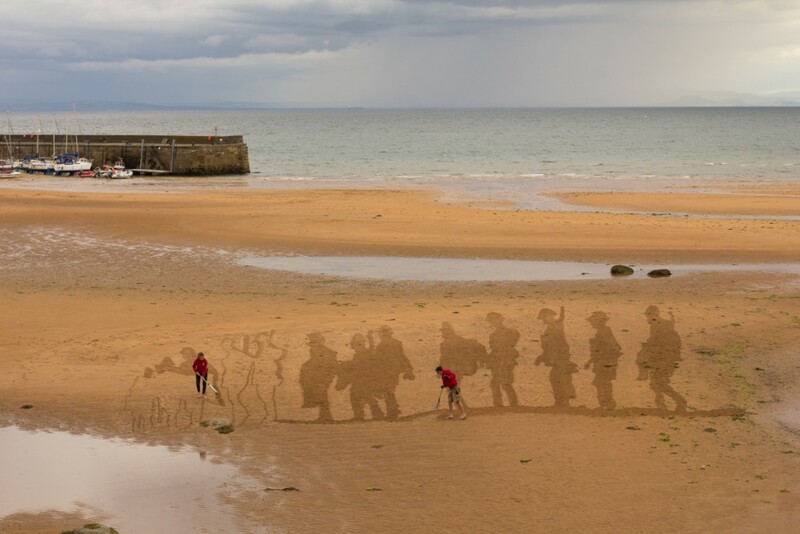 We found the results poignant and thought provoking. The reaction from passers by was marvelous, they really understood the concept and some were quite moved by the piece. 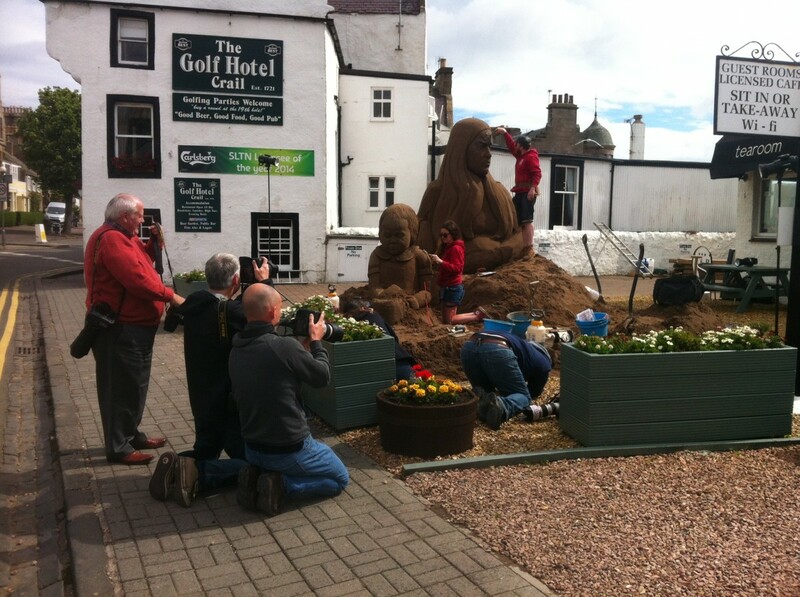 Here’s some of the images from the events. 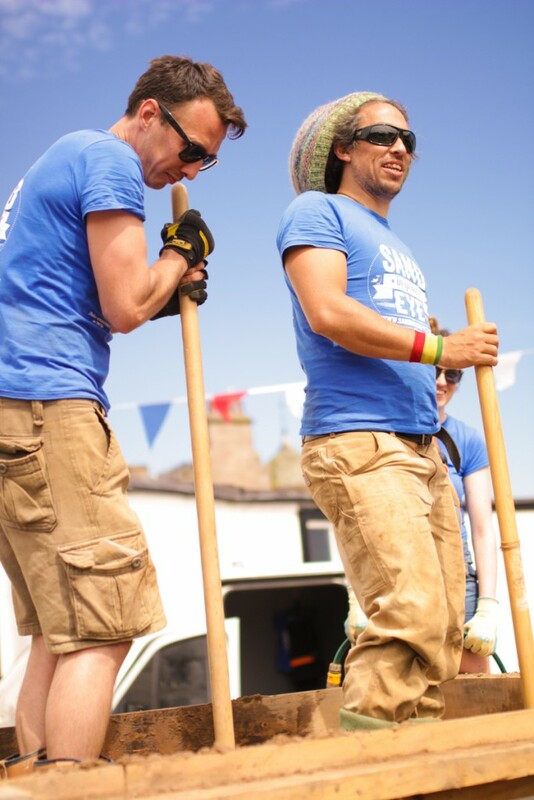 We hope to see you all again next year!